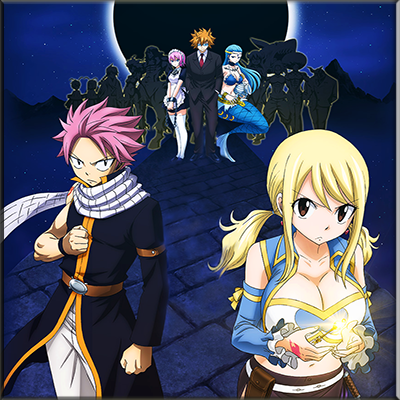 Fairy Tail is a hit anime series still going on. It is an anime that focuses on magic, wizards, quests, and all that good stuff. This modpack was designed to put that all into Minecraft to the best of my ability. I am a HUGE anime fan and I love doing things like this. This was a little side-project I decided to piece together. I am well aware of all the other Anime packs out there however, every modpack author adds their own flair into something. There is a server that you can play on. The server promo video is posted below. The modpack is still single player friendly of course. As stated above this modpack was designed to give somewhat of a Magical feel. Which this pack does specifically. A lot of the technology mods are not in this pack. This pack was designed to fit more of a fantasy feel. Magic is used to replicate what technology mods would do. The pack was also designed to encompass a neutral feel. 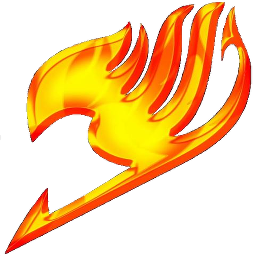 If players are unfamiliar with Fairy Tail, they can still enjoy the pack. If you are looking for a Magical Adventure then give the pack a test run. I am always working on it and we have an official website that houses a community as well. I may or may not be the first to post this IDK but, the sever isnt working for me, i saw this modpack, thought it was a cool thing, so i downloaded it, booted it up, and the server says "cant connect to the server"
This may be too late, but I was wondering if adding ProjectE would be an option. I know some people consider it OP but I consider it just a cut on the grind of some mods. If needed you could remove the recipe for the red matter tools and armor, but if it were added it would allow people to explore the entirety of a pack instead of being stuck due to resource management, and it allows players full creativity options with what they build instead of being limited by their environment or how much they have dug up. I don't know if you agree with me, but I think ProjectE would be an excellent addition, if not just for the Transmutation Table. what version dose it work best with? what version dose it use? A modpack can't really crash your entire PC. That sounds like a client error. Considering the pack has 150K plus downloads across all platforms it is avaialbe on, Curse containing 32k of them, and this is maybe 1 of 5 crashes in a REALLY long time I more than imagine it is client side. Regardless I cannot tell you anything unless I see a crashlog posted to pastebin. Hey, might wanna update AbyssalCraft. I implemented those config options for Shoggoth Ooze you wanted a few months ago, and you're still running 1.8.9.6 in the pack. Outstanding! Thank you for letting me know. The thread gets so many replies I lost track of it lol. Props to you for being able to keep up on it. Glad to hear it!! No worries! Let me know if you encounter anything else you think should be configurable. Hi , Can you please link to their full file server of modpack fairy tail is not ?? Those of you using this pack, with the Curse Launcher please note that the Minecraft launcher utlizes and older version of Java. If you are trying to connect to the server with this pack you will disconnect with something along the lines of "Fatal Exception." The single player works fine, however if you want to connect to the server you must change the java version that the launcher uses. For some reason the Minecraft launcher packages and old version of Java and you have to tell it to use a newer version by editing the java path profile in the launcher. It is very simple to do. All you have to do is once you click Play on the Curse Launcher and it brings you to the Minecraft launcher click the button in the bottom left that says "edit profile" and under Java path change it to the one on your computer instead of the one currently there. However if you are having difficulties you can simply use the FTB or the Technic packs as they are identical and they correctly use your System's version of java as opposed to the pre-packaged one.